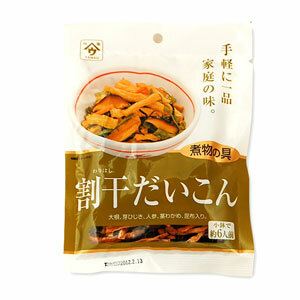 It is indispensable for Japanese cuisine, it is a material of small bowl. We are drying the seaweed such as kelp and the radish with a big cut. Fry it with water and stir it with oil. Add the water again, season it with sweet sake, soy sauce, sugar and boil it until the moisture disappears. It also goes well with sake.